"His voice is beautiful and can sing many notes, high and low and hear a vibration. His voice is beautiful it hits me inside and the lyrics are nicely written, his voice gives me goosebumps this is delicious"
feeling that time is running out; that it is crucial to express what really matters to loved ones before it is too late. They believe that honest, authentic songwriting has the power to articulate emotions that words cannot. Inspired as much by classic cinema as they are David Bowie and ELO, they’ve coined the genre “cinematic rock” to describe their powerful piano-charged sound. Each richly-orchestrated pop symphony is led by a voice that has no comparison; a unique vibrato saturated in soul and sensitivity. Their latest album “Original Motion Picture Soundtrack,” produced by Mike McCarthy (Spoon, …And You Will Know Us by the Trail of Dead), is being called “a movie for the ears”, “widescreen pop.” Like a coming of age story about chasing crushes, surviving loneliness, and finding close friends, it is timeless in its scope and undeniably contagious in its melodic focus. Writing and directing a short film to accompany each track on the album, the band has set themselves apart as true auteurs of rock n’ roll – ambitious filmmakers as well as visceral songwriters.They’ve brought their epic live show across the Midwest and to festivals such as SXSW, CMJ Music Marathon, and WMC after being awarded “Band of the Year” and “Album of the Year” in their hometown of Cleveland, OH. 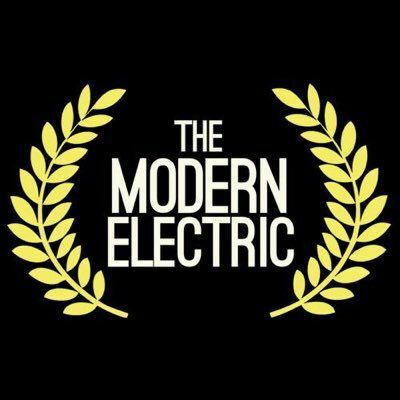 The Modern Electric aren’t creating songs that mimic the trendy sounds of the year. They are creating the kind of songs that are put on mixtapes for loved ones; songs that memories are made to. These are the kind of songs that become the soundtrack to a person’s life. They are currently directing a new web series that shows what it takes for a band to write, direct, and release a short film a month for a full year. Entitled “Video Music,” the series gives a behind-the-scenes look into the making of each critically-acclaimed music video.